The color and quality are fantastic! This goes perfect with the Tommy Bahama Batik Pineapple quilt. The color is very rich and true...not a pink but a deep rustic color. I am ordering another one for the chair in the bedroom. Add a touch of paradise to your bedroom with the Tommy Bahama Batik Pineapple Throw Pillow. This bold pillow features a white pineapple and trellis design on a medium red ground. 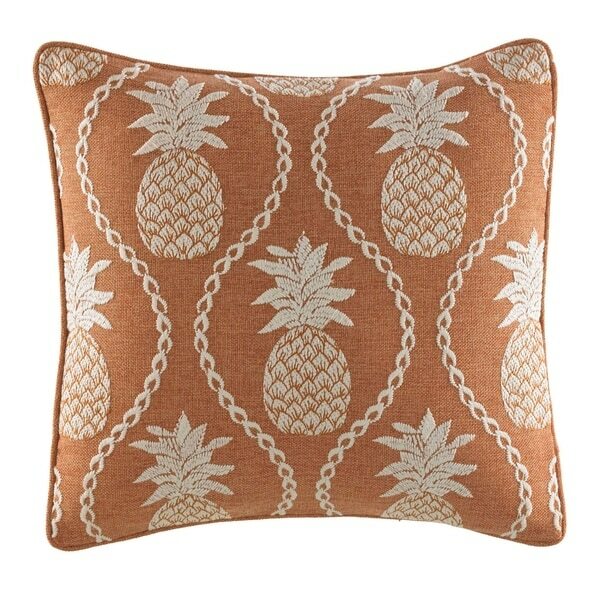 Pair this pillow with the Batik Pineapple Quilt (sold separately) for a complete look.